This pendant may be small in stature, but it's big on style! A ring of brilliant white diamonds is the star attraction in this 18kt white gold piece that truly is wear-with-all jewelry. 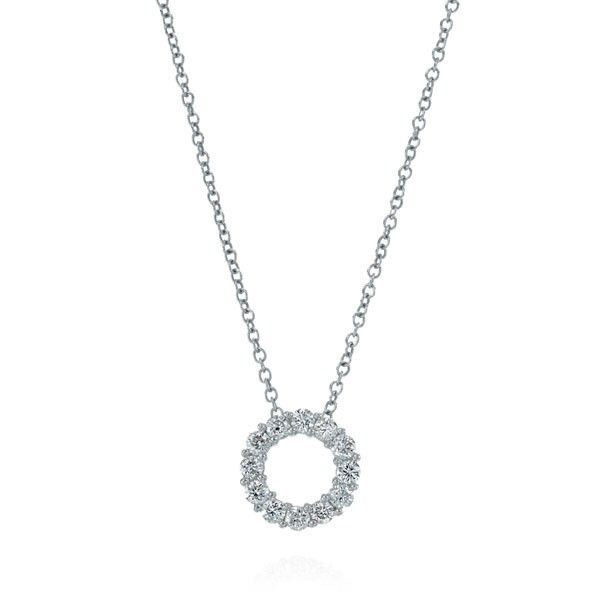 We think the "O" stands for "outstanding," when describing this pendant!